CPhI North America is poised to offer access to the most innovative solutions as well as insight into upcoming trends. Bona Pharma will be one of the professional exhibitor of CPhI Worldwide 2017, the world’s leading pharmaceutical platform. 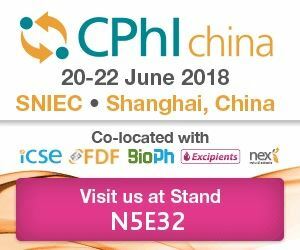 Bona Pharma is one of the professional exhibitors of CPhI China 2017 that will be held in Shanghai New Exhibition Center. CPhI North America 2017 has the complete pharma supply chain under one roof, and BONA Pharma is one of the professional packaging suppliers attending this event.